Chamber of Commerce for bringing some Christmas cheer to Archer Avenue. 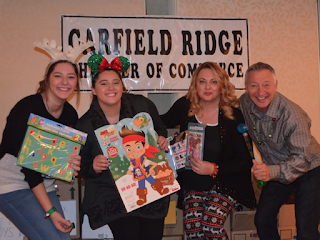 event, held at Mayfield Banquets on Saturday, December 3, was its usual smashing success--with boys and girls stopping by to whisper a few wishes to the Jolly Old Elf, receive a free toy from Santa's helpers, eat a few goodies and enjoy live musical entertainment and a puppet show. Among those rolling up their sleeves to make the event a reality were current Chamber President James Kash, 2017 President Mary Ellen Brown, and other officers and members. Past President Mary Ann Dybala, the driving force behind the cheerful event since it was founded more than 30 years ago, also was on hand to serve goodies and greet moms and dads, grandmas and grandpas. She noted that about 800 children were expected to attend the popular celebration. Easy to understand, since the line wound through the Mayfield and even went out the door into the parking lot for at least the first hour. 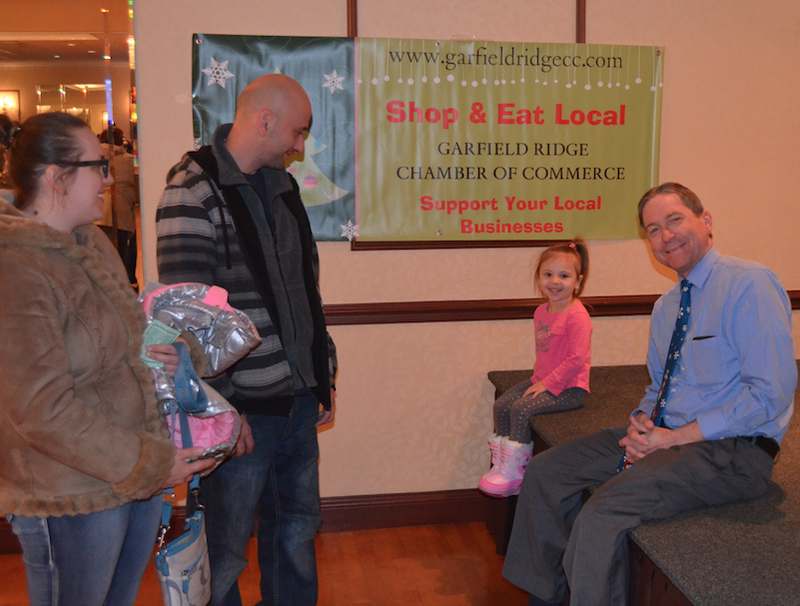 Garfield Ridge is home to many public-spirited business owners who care about the well-being of the neighborhood. Let's return the favor by shopping at Chamber members' stores and other businesses, using their professional services, and so forth. 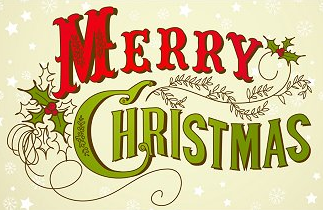 Visit http://garfieldridgecc.com/directory for a list of Chamber members. 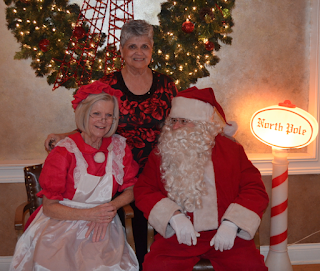 Here are a few photos we took with local children and Santa and Mrs. Claus. Enjoy!